The PG2-R is a Pistol Grip Shock Mount designed to reduce handling noise when recording with shotgun microphones in hand-held or boompole mounted applications. The newly designed lightweight handle delivers improvements in both ergonomics and functionality. 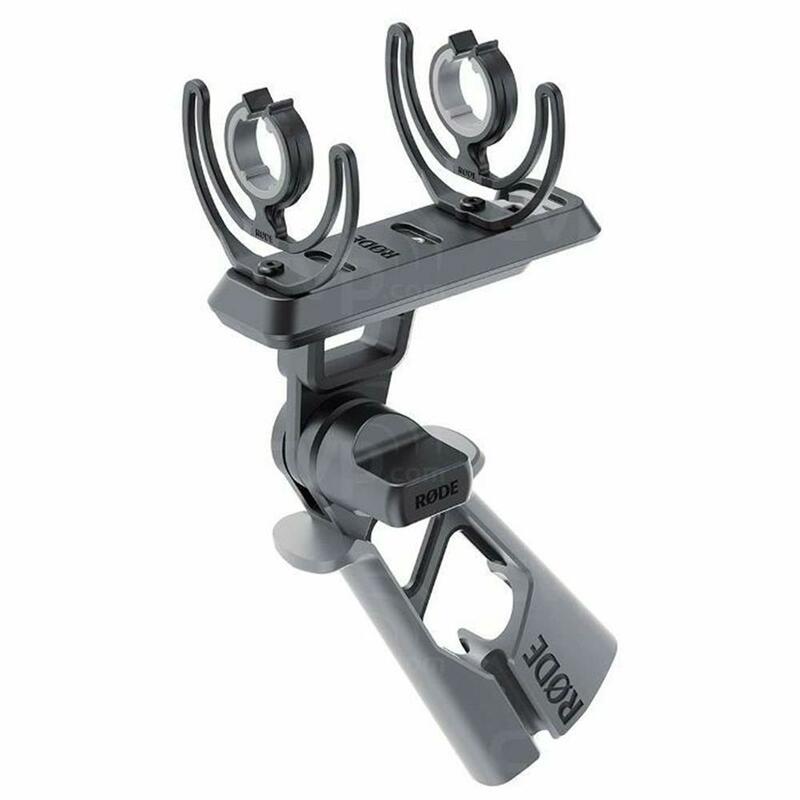 The cushioned grip houses multiple cable mounting points, with a dedicated space for the PG2-R Pro Cable XLR connector to terminate flush with the base for ease of connectivity. A heavy duty locking nut on the side of the handle ensures smooth adjustment of your microphone angle, while a 3/8" thread at the base of the handle provides secure connection to boompoles and microphone stands.